Hailing from the west side of Queens, Batwoman NYC is New York City’s very own Kate Kane…without the fortune, that is. 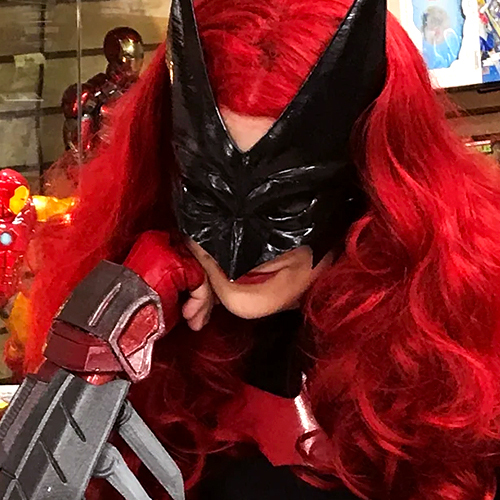 Coffee-guzzling comic saleswoman by day, red-headed caped crusader by night, she’s been donning the mask regularly as of 2016. 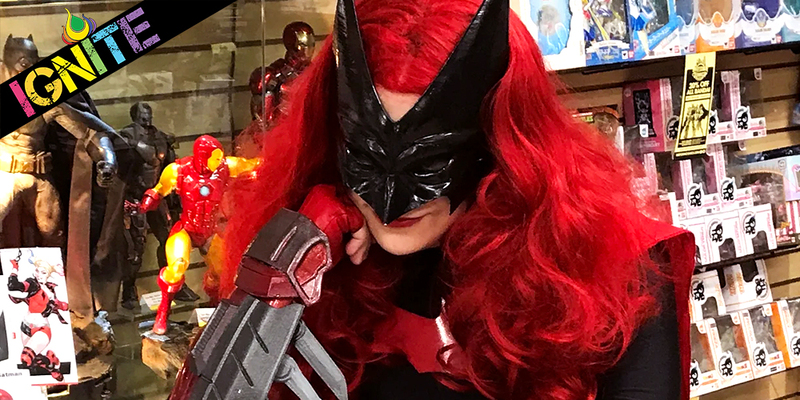 Since her debut at Flamecon 2, she continues to upgrade and expand upon her suit and gear with the aid of cosplay mastermind John Andrade of The Quiver Cosplay.